How high are realtors' and lawyers' fees in Senegal? What about other property purchase costs? How difficult is the property purchase process in Senegal? 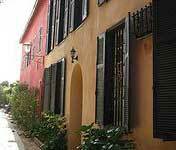 Foreigners owning property in Senegal are not discriminated against, and 100% foreign ownership of business is permitted in most sectors. A note of caution: officially, the Investment Code stipulates free transfer of capital, but in reality, President Wade's reforms cannot be instantaneous, and transfers to countries other than members of the West African Economic and Monetary Union are still subject to numerous requirements, controls, and authorizations. Also, opening a foreign exchange account requires approval of both the Central Bank and government. While the calculated transaction costs are high, the real costs are less. A local source says: "In France, you have to do the transaction in front of the notaire. But here, the transaction is separate from the registration. So 30% of the amount is declared, or less." So the buyer's real costs are more reasonable - around 10.2%. An a priori assumption is that the present government will move to reduce fees, moving legality in line with reality. A foreign buyer can buy either from an individual or from the Government. When buying from an individual, the buyer needs the services of a lawyer, who secures a registry certificate from the Land Registry to identify any encumbrances, and to confirm ownership of the property. Once decided, a promissory agreement is signed by both parties in the presence of the notary. The Ministry of Finance authorizes the transfer by request of the parties. Upon authorization, the notary issues a proof of sale and prepares the deed. The sale is then registered and stamped, and the notary requests the change of name at the Land Registry Book. When buying from the Government, the buyer goes to the Government's investment centre, APIX (Agence Nationale Charge de le Promotion de L'investissement et des Grands Travaux). It is necessary for the Cadastral service to prepare a map of the land, and to state whether it is public domain, private, or national domain land. The buyer addresses a petition to the Ministry of Economics and Finance through APIX. The petition must contain: the cadastral plan, the projected works, the cost of works and their financing method, and the number of jobs which are expected to be created. APIX then advises the relevant authorities, especially the General Directorate of Customs and Excise. What follows depends on the kind of land involved. In the case of a private sale, the contract is notarized; if the sale involves more than 10 million francs, it receives the prior authorization from the Ministry of Economics and Finance. Property sales are registered and certified at the Stamp Registry Office. Stamp duty is generally levied at a flat rate of 10%. Registration in the Land Registry is levied at a flat rate of 6% of the property value. How landlord-friendly is the law in Senegal?